Insights from Nike Golf athletes drive development and design of Nike Golf’s most precise irons to date. Today Nike Golf revealed its new Vapor Pro irons, part of the Vapor iron family, at an event in New York City. Developed at The Oven and carefully crafted based on direct insights from Nike Golf athletes including Tiger Woods and Rory McIlroy, Nike’s newest forged blade irons feature innovative Modern Muscle design. Modern Muscle is defined by balanced weighting for perfected precision and power. Nike Golf club engineers kick-started the process for perfected weighting several years back. By analyzing the wear patterns on Woods’ irons – with an impact pattern centered to slightly toe-biased on the club face, but with a natural center of gravity closer to the heel of the club, Tiger and the club team collaborated and came up with what became a kept secret for several years – the addition of tungsten plugs. 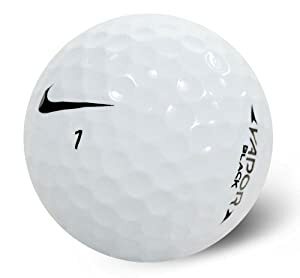 Nike Golf Master Modelmaker Mike Taylor added tungsten plugs to the toe of Woods’ irons to move the center of gravity away from the heel and locate it in the center of the face. The result: maximized precision and improved feel on both center and off-center strikes. By bringing Modern Muscle design to the masses, golfers now can experience the same benefits of a better balanced iron as Woods, McIlroy and other Nike Golf athletes on Tour. A modernized take on the classic Nike blade profile, the forged Vapor Pro irons feature a slightly longer blade length in the long irons with one degree of added bounce to add forgiveness through the turf. Precision-machined, third generation X3X grooves on a forged 1025 carbon steel chassis allow golfers to control spin and shot-to-shot consistency, while narrow sole widths make it easier to hit from less-than-ideal lies. Thin top lines and straight leading edges with minimal offset offer the ultimate in alignment and shot-shaping workability. The Vapor family of irons feature the satin chrome finish preferred by our athletes for glare reduction and optimal alignment across all models. The Vapor Pro irons will be available on Nike.com and at select retailers October 31, 2014.